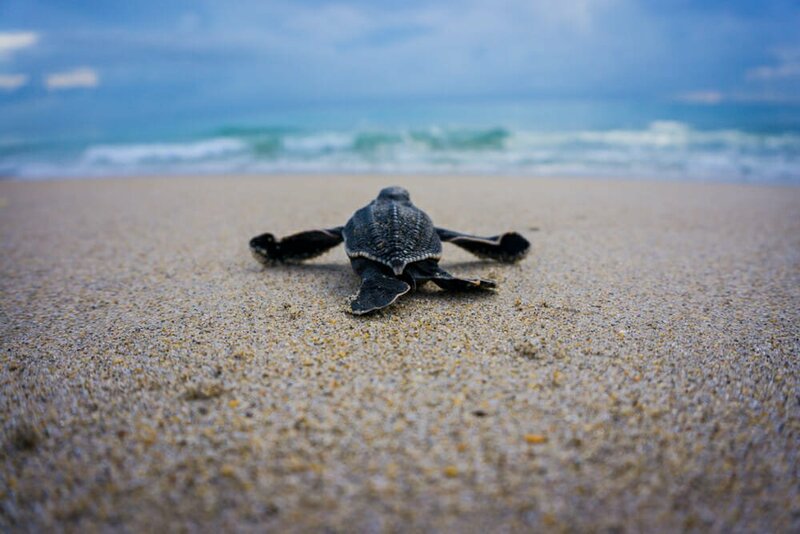 It’s World Sea Turtle Day so we thought we’d give you a season update – finally! These girls have been keeping us busy! We have passed the 300 mark! We’ve now had a total of 316 encounters this year. Most of these turtles have been seen numerous times throughout the nesting season. We have seen a total of 100 individuals. 26 of those were new, untagged turtles. We have also seen 2 turtles that were previously tagged in Brevard County by the University of Central Florida (one in 2011 and one in 2014), one turtle that was previously tagged in Georgia (in 2010), and 6 turtles that were tagged in Palm Beach County earlier this year for the first time. The percentage of untagged turtles that we see each year is declining (from approximately 50% to 25%), but that’s actually a good thing! That means that the expansion of our tagging efforts to cover a large portion of their nesting habitat is working! That means we are closer to achieving true saturation tagging of Florida’s nesting population. We’ve had a wonderful mixture of recently tagged turtles and some of our “old faithfuls” on our beaches. We’ve seen quite a few turtles this year that were tagged in the last four to five years. Since we have over 700 names in our database, sometimes we have to be a little unique. Scarpetta, a turtle that was nesting in an escarpment, was tagged and named by our team in 2015. We have seen her eight times since then, five of which were this year. Kathmandu, a turtle that we also tagged and named in 2015, has been seen a total of four times, three of which were this year. Wildfire, a turtle that is very special to our research team, was tagged and named by our researchers in 2014. She’s got a long history about her name and she’s one of our favorites! She has been seen by our team in 2014, 2016, and again this year a few times. Parker, tagged and named by our team in 2014, has been another regular nester. We have seen her 11 times during the 2014, 2016, and 2018 seasons. Several of the new turtles that our crew tagged this year have stuck around for several nests, including Holly, Varta, Benatar, Onyx, Callie Rae, Star, Little Baby, Kiki, and Dooley. We’re so excited to have had multiple encounters with each of these turtles. We hope that these new turtles that we tagged this year continue to return over the years. We have also seen several turtles that we’ve known for many years, some for almost two decades! Recently we encountered Musca, a turtle that was tagged in 2003. She has been one of our most frequently seen turtles. Over the years, Musca has been seen a total of 28 times in 2003, 2005, 2010, 2012, 2013, 2015, and 2018. She has nested on our survey area multiple times this year. We also recently saw Spica, a turtle tagged in 2002. She has been the most frequently seen turtle since our researchers began tagging leatherbacks in 2001. Spica has been encountered more than 30 times and we were even able to track her for a short period with a transmitter. We have also seen Electra and Pyxis this year, two turtles that were tagged in in 2002 and 2003. Our favorite long-term recapture of the year has been Ursa! We saw her recently on our beach and we were thrilled! 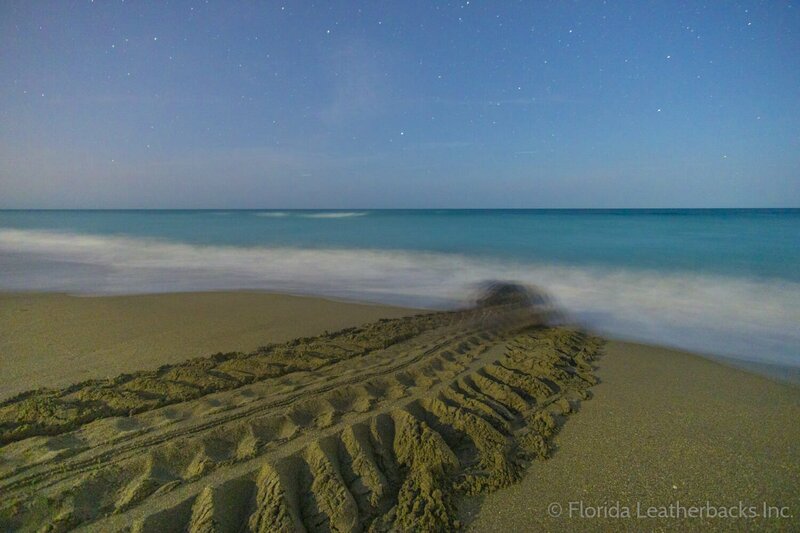 Ursa was tagged by one of our own researchers all the way back in 2001 when leatherback tagging began in Palm Beach County. She’s a HUGE girl – over 160cm carapace length! We are always excited to see some of these turtles return after so many years on our beaches. We have had several turtles that we’ve encountered numerous times this year. Chakra (who we just tagged in 2015) and Harmony lead with eight encounters each. We have seen Beth (one of our new girls this year), Maxine (a turtle we tagged in 2014), Rosa (a new turtle we tagged this year), Xena, and Valkyrie (the turtle originally tagged in Georgia), a total of seven times each. We have seen Ananda, Estrella (who we just tagged in 2014), Fiona (who we also tagged in 2014), Juniper (just tagged this year! ), and Martha a total of six times. We have seen ten turtles on five separate occasions, and seventeen turtles on four occasions. 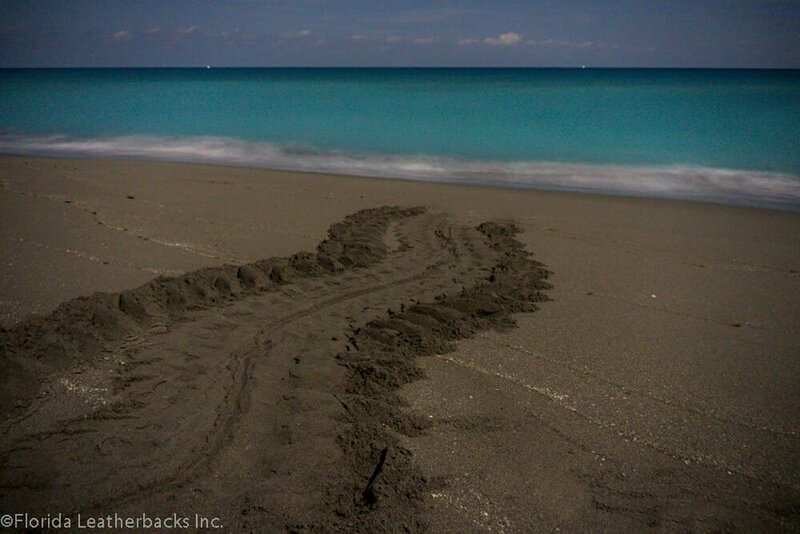 Leatherback nesting season will be wrapping up shortly. The last nests are usually documented in late June and early July. Nests have already started hatching. Our researchers have seen several nests emerge while we patrol at night. While nesting typically slows in mid-June, the turtles are still keeping us busy! We have had 26 encounters this week. We anticipate surveying for another two weeks before wrapping up the 2018 nesting season. 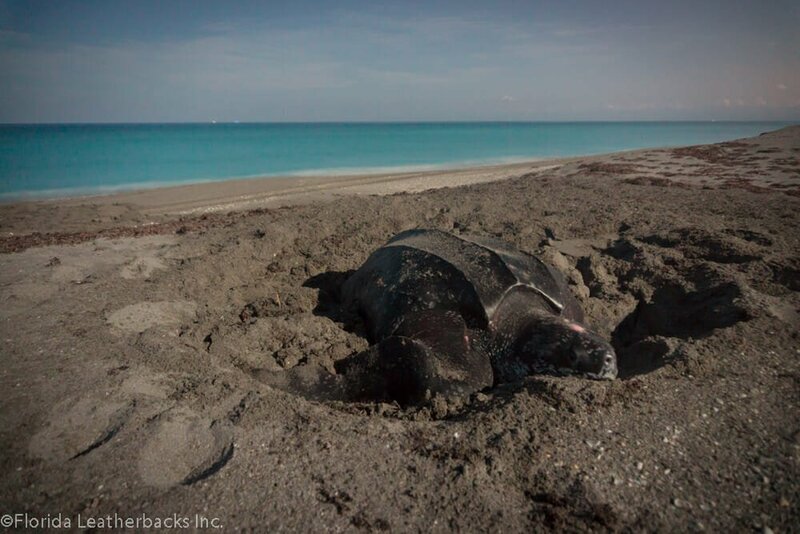 We have enjoyed a wonderful season and we’re grateful that leatherback nest numbers have increased this year! 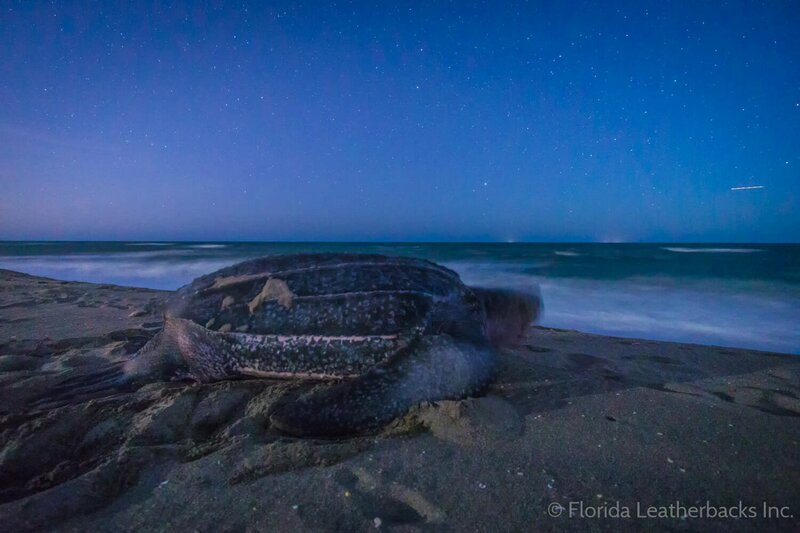 This entry was posted in Uncategorized and tagged blog, florida, leatherback, research, science, sea turtle. Bookmark the permalink.